Jasmine Evans knows one thing for sure… people make mistakes. After all, she is one. She was a result of a bar hookup between an African American football star and a blonde beauty queen. Having a mother who didn’t raise her, a father who wants nothing to do with her, and living in a small-minded town where she’s never fit in isn’t easy. On top of it, she’s falling for the bad boy who just came into town. Just when she thought it couldn’t get any wishes she sees something she wishes she never had; her own best friend making out with her mom’s boyfriend, Simon. When she goes to tell her mom about the horrific scene she saw, her mom has some news too… she’s pregnant with Simons baby. How is she going to tell her mom now? 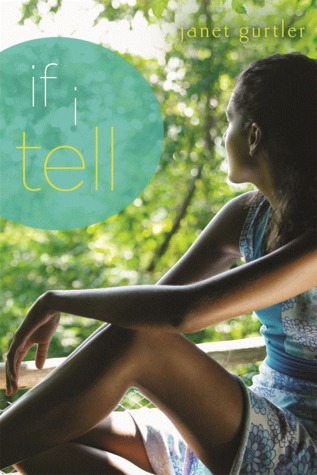 If I Tell is a book with so many twists, you’ll find yourself surprised by twists that have already come up once before. With betrayal, secrets, crushes, and overall drama, it’ll have you always wanting more. I recommend this book to teenage girls who like intense drama with a little bit of romance.